It's not very often that a new beauty product that is so simple makes such a huge difference in the makeup world. 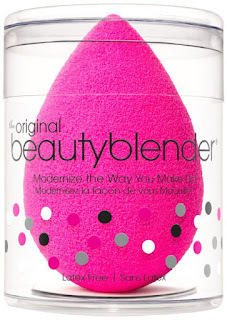 Although the beauty blender sponge has been around for almost 10 years now, it's getting a surge in popularity. If you want a flawless foundation, this is the tool to get it without using an expensive airbrush machine. It's versatile, so you can use it for foundation, self-tanners, moisturizers, primers, and serums. I'll admit that when I got my first one, I wasn't sure how to use it. Here's how to use a beauty blender sponge and some more tips so you can get the most use out of it. Before you use your beauty blender each time, get it wet. Then squeeze it until it's just moist and not dripping. If you skip this step, it will soak up a ton of product. When you use a beauty blender, don't apply product directly to the sponge. Instead, apply it to the back of your hand or a flat surface like a mirror. 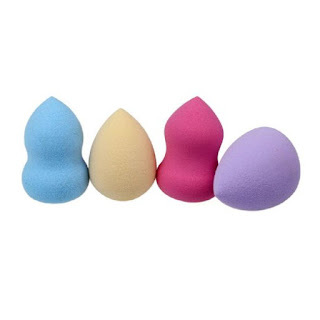 Dip the round end of the beauty blender sponge in to your foundation. Then dab the sponge on your skin in short, light strokes. Don't press too hard; you just want tap your skin in a stippling fashion. Use the larger end for all over coverage and the pointed end for finishing the edges around your face, lips, and eyes. You can also use it to add some color with a cream blush or to use highlighter to highlight under your eyes and your nose. After you use your beauty blender, it will still be wet. Let it air dry and don't pack it away in a container or bacteria can breed in the sponge. Wash your beauty blender when you wash your makeup brushes, or about once a week. You can use a Dove White Beauty Bar to wash it or a facial cleanser. Let it dry completely before storing it. You might be tempted to microwave it to kill germs like you would with a kitchen sponge, but don't. It will melt the sponge. We all make makeup mistakes. If you apply too much blush, you don't have to take off all of your foundation and start over. Use a dry beauty blender to lift off the extra blush. You might be tempted to keep using it until it dies, but it can get tiny tears that will cause your makeup to on wrong. 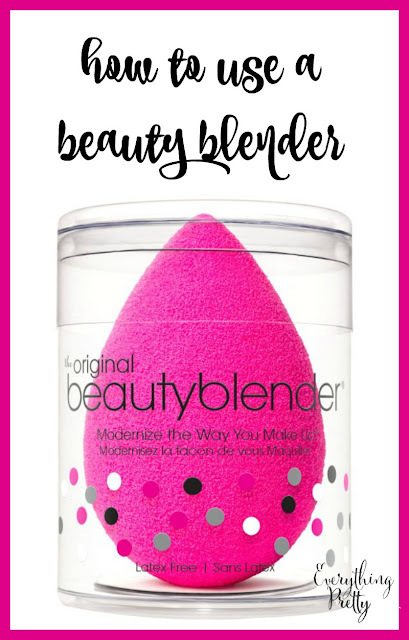 For the best finish, be sure to replace your beauty blender as needed.